Ásgeir’s sophomore album Afterglow certainly lives up to its name: A warm light radiates from the record’s dynamic mix of electronic and folk elements, pulling listeners deep into the Icelandic artist’s colorfully intimate world. From the rich harmonies of melodically bright opener “Afterglow” and the hypnotizing dance beat of “Stardust,” to the pulsing rhythms of “I Know You Know” and the melancholic humming of finale “Hold,” Afterglow never ceases to mesmerize. Born Ásgeir Trusti Einarsson, singer/songwriter Ásgeir started gaining momentum around 2013, when his first record In the Silence (One Little Indian Records) was re-released in English. After playing around the world, especially at the 2014 Iceland Airwaves, Ásgeir began to gain momentum. Since then, Ásgeir has been spending his time playing shows, getting his music out to new people, and working quietly on his sophomore record. 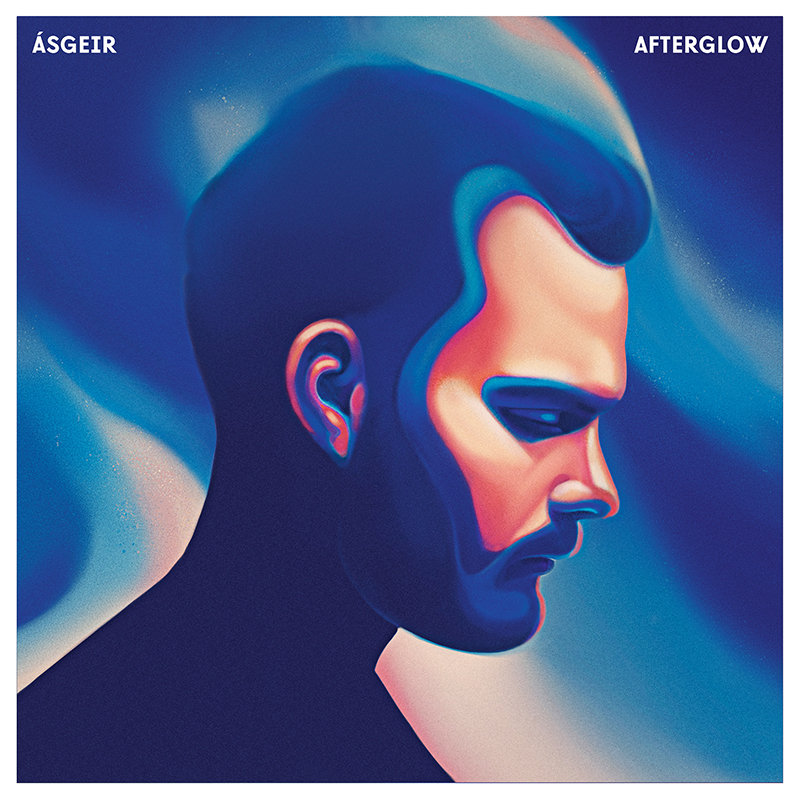 The culmination of over a year and a half’s worth of work, Afterglow (released 5/5/2017 via One Little Indian / Columbia Records) captures Ásgeir’s many sides, offering soft moments of introspection alongside harder, faster moments of action and doing. Ásgeir stands out from fellow Icelandic artists like Of Monsters and Men or Kaleo: His unique vibrance comes from a willingness to experiment with a wide variety of textures and flavors. Dive deeper into Ásgeir through Atwood Magazine’s exclusive interview with the intrepid artist. As enchanting as it is bold, Afterglow is available now for purchase or stream. Atwood Magazine: How did you get your start with music? Ásgeir: Well, I started playing guitar when I was about seven or eight, and I started writing music shortly after that. It just kind of became a part of me after that; I mean, my family is very musical and I looked up to my brother, and he was always writing music and I wanted to do the same thing. Your history before music also includes athleticism, specifically in track & field. Do you ever find that that background bleeds into your music and performances? Ásgeir: Sometimes I wanted to be an athlete more than a musician, and sometimes I wanted to be a musician more than an athlete… but it was kind of decided for me, really. Then my solo career took of, like, yeah, I got injured so I couldn’t really do the sport thing as much as I used to do it, so I kind of focused on music, and it became more successful, and I kind of took that route. Your first record, In the Silence was first released in Icelandic, and then in English. What made you decide to release your new record, Afterglow in English first? Ásgeir: We actually made a few tracks in Icelandic first from Afterglow, but I decided in the middle of the process that it would be better to just focus on one language instead of re-recording the same song twice, you know? And kind of refining the focus a bit. That was maybe kind of the reason… And thankfully, we have a wider audience with the English language, so it made sense. Have you toyed with recording more in Icelandic? Ásgeir: Yeah, so we actually started recording more of the songs in Icelandic… we have over half of the songs in Icelandic, but we had to kind of focus more one not two languages… so we have the songs in Icelandic somewhere! How do you feel like you’ve grown between the two records? Ásgeir: Well, I think I grew musically, because I’ve been playing more than before… I don’t know — I wrote a bit different[ly] this time around, it was more, kind of, writing and recording and producing at the same time. With the first album, I wrote all of the songs and the arrangement before going into the studio and it was recorded in just a few days, really. The recording process was very different. And yeah, I’ve just kind of grown in my own context. I’ve gotten to know myself a lot better, just kind of going through the work and anticipating the album that people had the expectations for and feeling that stuff. I think that kind of helped me… grow as a person. Is there a difference in sound that you can feel between the two records? Ásgeir: Yeah, well, the main difference is that there was a lot of post-production stuff going on. Details. Electronic influences. It’s kind of more pop-y and upbeat and a little bit more, kind of, happy than the first album. It was kind of more stripped-down, and more of it [was] played on actual instruments and not much post-production. So that’s the main difference. Do you find that you place more importance on the musicality or the lyrics in your songs? 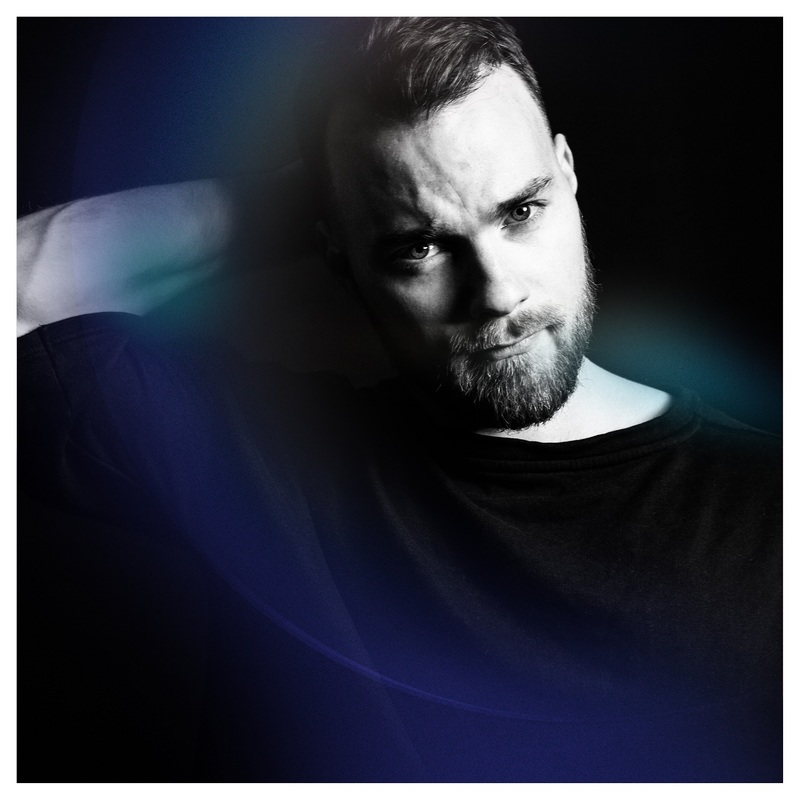 Ásgeir: I always put music-making first, and then words second. I think that it’s nice that I’m working with three people that I respect and enjoy working with on lyrics and words for the music. We have a good connection and we’re on the same frequency, or something. We can understand each other. I feel like I have more, kind of, freedom, to work on my music more than the words, since I have so many people that I’m working with on that. What’s that process look like? Ásgeir: The songwriting process…it’s usually similar. I have an idea — [on] a piano or a guitar — and then I usually go into the studio and record it and make some kind of arrangement for it. Then [I] kind of get to the level with a song where I’m happy with the song, then I’ll get lyrics for the song and get the producers I’m working with coming to the studio, we’ll talk about it and go through it. Then [the] lyric is written and we record it – and it’s pretty much always like that. Is there a song of yours that’s the most meaningful to you, or you feel like best encapsulates what you do? Ásgeir: At first thought, a few come up. Turning points, maybe, on the album, I guess. Some like… “New Day,” I felt like I was getting back to my old self and kind of enjoying the acoustic guitar and writing kind of folk songs, which I’ve always enjoyed doing in the past. So I feel more connected to that song than some of the others. But I’m also really happy with the song “Underneath It.” That was actually a song I threw away, and then I listened to it again and I thought that I could probably do something with it and make it interesting for me. So I opened it up again, and I’m really happy with it because I got it to a point where I was happy with it again. So yeah, I think those two. Describe the thought process behind this track listing — it kind of goes from a more upbeat undertone to kind of a more melancholy undertone. Was that intentional? Ásgeir: Yeah, um, I think the album kind of has two sides to it: It’s more hopeful and optimistic on the first side, then it’s got a more dark side. And I think that comes from what I was going through, and that’s the half of making the album that was difficult. You know, it’s very difficult actually, and the second half of making the album in the last few months and I think that definitely shines through on the record. And it depends on the people [the listener] and what they feel. If they feel something from the album and what they’re left with at the end of it. So it really depends on the people. I think the album kind of has two sides to it: It’s more hopeful and optimistic on the first side, then it’s got a more dark side. Your music is a little bit more difficult to describe and define without listening, so if you had to, how would you categorize your music? Ásgeir: I’m not really into that whole idea; I try not to think about it too much when I’m writing the song I’m trying to go for. I’m not sure if that’s a good thing or a bad thing, but I like being totally free. And when you have an idea, and you feel like it’s something real, you kind of don’t want to be confined to what the song needs to meet around it. I think it’s still kind of this genre-wise like… folk-based music arrangement with electronic and pop music influences as well as…not, you know? It’s organic and electronic sounds intertwined together, as well. So what should people know about Afterglow? Ásgeir: Well it was recorded in a studio close to Reykjavík in Iceland, and we spent like one and a half years making it. I was working very closely with my brother and a producer I started working with about five years ago. I worked on the lyrics with my father and some of my friends, and it was kind of difficult in the beginning but it got a bit better and more hopeful in the end, and you can kind of feel that on the album. But yeah, it’s just kind of songs that I got through making in this time period, and there’s not really much else to say about it besides these are the songs that I was happy about, and they ended up on the album. Do you think recording these songs in Iceland had a major part to play in the sound of the record? Ásgeir: That might be. I think the environment you’re in is always going to affect you in some way, but it’s also that I tend to [when I’m writing] that I close myself off in some room somewhere. So I could be anywhere, really, you know? But I’ve always been in the opinion that your environment is going to have some kind of aspect on what you’re doing. But also, if we would have gone somewhere else…it would have been different people involved, in some way? Session players, if we would have been somewhere else. So it was only Icelandic people there, and in that way, it definitely would have been different if we would have recorded somewhere else. Anything else on the docket for 2017? Ásgeir: I dunno, I have been working with some of my friends back home in Iceland who have never released any music and are kind of starting out, so this is the first time I’m helping someone out with recording and being involved in that way, which I really like. But yeah, I’ll probably be doing some collaborations this year, I can’t say any more about that, but I think there will be — yeah, something like that coming out this year.